Last year, I was contacted by one inspirational woman called Mac Kuja via Facebook originally from Cameroon but now living and working in USA . Don`t worry so much how she got to know about me because my information is very public and all over the internet and am so happy such women can sift through what my detractors write which is negative and against all false stories trust they can reach me and we can talk. She did contact me and shared her dream to travel to Zimbabwe to inspire young people and women with her books. What first worried me was where she would get some funding for the trip that would take at least two weeks and more so she was bringing her assistant. I just told my heart that many times in my life I have done things that look costly and without money and just achieved like anyone else with funding. For a month I was just building her confidence. Of course she needed it because this to her was a first trip to Zimbabwe and efforts to contact US Embassy in Zimbabwe to support even with directions and maybe venue to meet poor girls were ignored. I just wonder what has happened to human beings in these offices? She finally told me she had booked tickets for herself and her assistant. It so touched my heart she could do this and strain her packet. In addition she would take a good number of her books and already she had donated to us. Next I learnt that she had traveled safely to Zimbabwe and the first message I received from her was that she had no access to internet but she had arrived in this amazing and beautiful country where people were so loving except one woman who is a leader of an organisation who just became very arrogant and unhelpful. Childish NGO women behavior of course!!! They do not think that even those with no donor funding contracts can help our girls. I followed her trip via chats and photos and this world we live in of technology makes distance shorter. Daily I received updates from her or some two women volunteers she had who offered their time so generously to help her around and one of them called Senzeni even cooking sometimes at her house. Soon she had met another woman called Fayi who had traveled from UK to also offer some training for grassroots organisations to think sustainable ways to fundraise. Fayi became sort of my mentee in UK as I shared a bot on developing a training on fundraising which she would fine tune and the deliver in Zimbabwe. That was 26 August 2013 when she met some women at the conference. She was so touched about them and their resilience. The next day I followed her tour of schools. Now here is a woman totally a foreigner in Zimbabwe and self funded to go meet girls and sometimes boys to inspire them. Some had lost hope. She hugged them and embraced each one of them. In Hopely, which is a squatter camp she went and met with some girls raped and those who just wanted to hear message that there is room at the top. One case which heart broke her and which she shared with tears on her eyes was that of a girl aged 11 who lost her spinal cord after being raped. She wanted her to get help immediately. She met with some girls who had stopped school because of education. Yes some stories made her realise how grateful women like me and her should be. Thereafter she attended the Never Again Launch Royal night which we launched at Jameson Hotel. I like to watch others do it. So it was of course with challenges on 31 August but on the whole those who try are heroes and hats off to Senzeni and Blessing-the two volunteers. Later the volunteers took Mac Kuja to the sacred Girls Empowerment Village of Chitsotso in Zimbabwe. They had been discouraged for days but they defied everyone and set off to the village. It was amazing how the Chiefs crowned her and announced that she is Princess of Chitsotso. That part of her trip changed her so much. She came to Zimbabwe an ordinary woman but then she came out a Princess. That is how our culture is. It embraces all and it teaches the world that girls are Princesses. Many may ask why am writing this story six months after Princess -Muzvare Mac Kuja trip to Zimbabwe. Well, I want to let you know that recently I had 10 girls from Zimbabwe who are former members of GCN Zimbabwe who asked that they want to plough back to the charity that brought them up like this. One of them is graduating as a Chartered Accountant and many are pursuing their studies or they are in business. And why would I want to hold everything to myself? I think the story of Mac can inspire the young women that you do not have to be a millionaire of money to empower and inspire girls languishing in poverty and violence in poor rural areas of Afica. Mac came with no money but her passion. Just look at impact of her work on girls. She role modelled them. She empowered and inspired them. She may have met them a day but her image is what the girls carry as they soldier on with life. In an era where people are self centred and only think charity work is about money, honestly some girls can impact other girls lives simply by being there.. I leave you all young women am mentoring online for leadership of GCN Zimbabwe via online to reflect on her tour and what you can do for fellow girls in the country. It is time to uplift other girls . Please check out stories and pictures to inspire you about Mac Kuja and as I mentor you all I want to see how in simplest actions we can make huge impact. Who is Vio Mak-the woman terrorising Zimbabweans in UK on internet? Betty Makoni (BA Gen, BA Special Hons) is Founder and Chief Executive Officer of Girl Child Network Worldwide an international charity registered in the UK. Recently she was selected to be in the team of experts for Preventing Sexual Violence Initiative was officially launched on 30 January 2013 by the UK Foreign Office. She joins the team as a Gender Based Violence expert. In her many high profile titles, millions across the world passionately call her CNN Hero as she was the top in 2009 category for Protecting the Powerless and was honoured by Goodwill Ambassador Nicole Kidman. 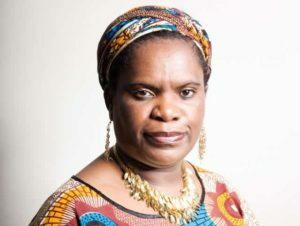 Betty Makoni might be the highest honoured and awarded African woman in the world with 40 local, regional and global awards for innovation, commitment and passion for her work to protect over 300,000 girls in Zimbabwe. Best Practice:Girl Child Empowerment Model Featured in Essex Human Rights Journal The Essex Human Rights Review (EHRR) is a peer-reviewed, multidisciplinary, academic journal which aims to address contemporary human rights issues. Girl Child Network Worldwide The work she has done in the voluntary sector is here and please join and support.